And so, the baby prep continues. 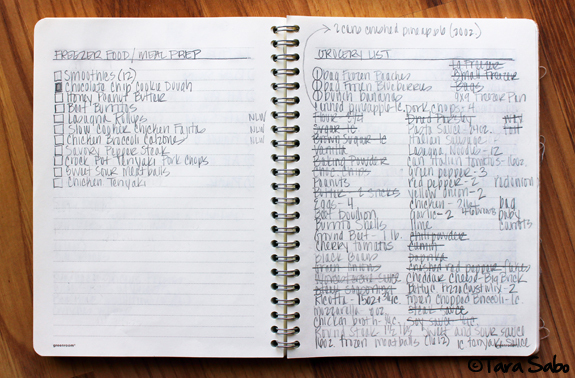 While I didn't necessarily get to indulge in an entire day of making freezer meals this weekend, I did start the process on Saturday and have been chipping away at it ever since. The worst part? Everything I am prepping looks so delicious. I seriously want to eat it all right now. Who wants to place bets on whether or not the frozen cookie dough lasts until June? 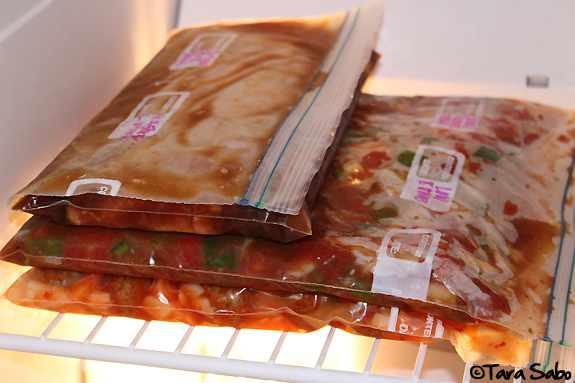 When I was pregnant with Hannah, it didn't even occur to me to stock the freezer with ready-to-make frozen meals. It's not something I've ever really done, but this time around, I found inspiration in Kelly of New Leaf Wellness. 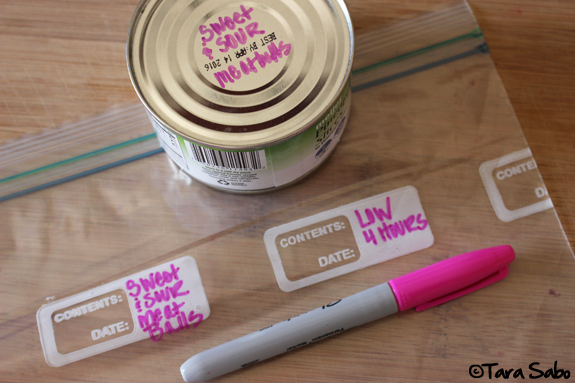 She made 27 freezer meals before her last baby girl was born. I mean...right? A genius plan! And since this kiddo will be born in the summer and I'll most likely want to be outside instead of inside cooking, I figured I should give it a go. So, of course I turned to Kelly for advice—in addition to referencing the above post, Kelly so graciously sent me copies of her cookbooks to help me figure out the process. I love her cookbooks. So informative, so easy to follow. It's like you've got your best friend in the kitchen with you. 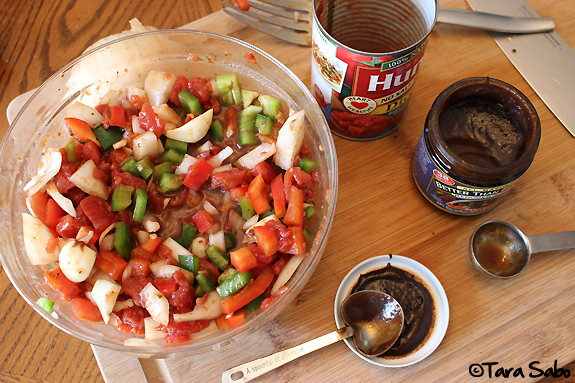 No crazy ingredients, simple and straightforward. 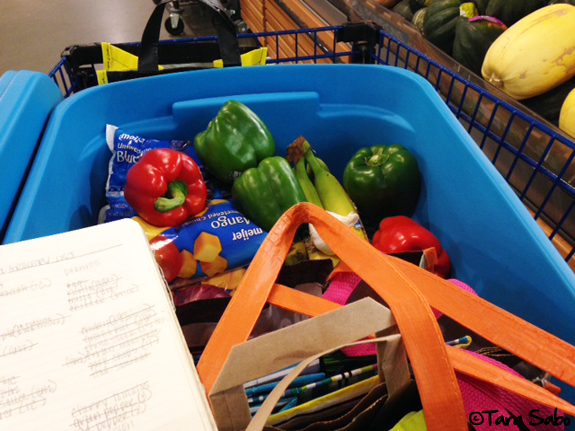 They helped me put together a decent grocery list, which reflected a perfect plan for making roughly 15 meals. In fact, when I got home, Jason commented on the fact that I hadn't been gone that long. Usually mommy gets lost in the grocery store, mostly because I shop at Meijer (a big box that sells everything...including clothes). 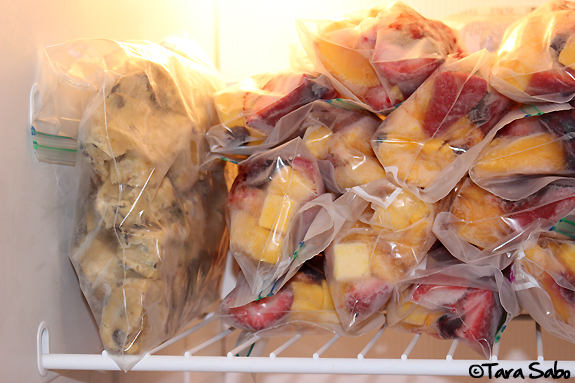 So far, I've got a bag of cookie dough, 12 fruit smoothies and three meals in my freezer. I do have a few recipes that will take some cooking to complete, such as lasagna rollups and beef burritos, so we'll see how that goes. Also on tap: Three chicken recipes, all different. I'm hoping to have all of this wrapped up (literally and figuratively) this weekend. Clock is a-tickin'! 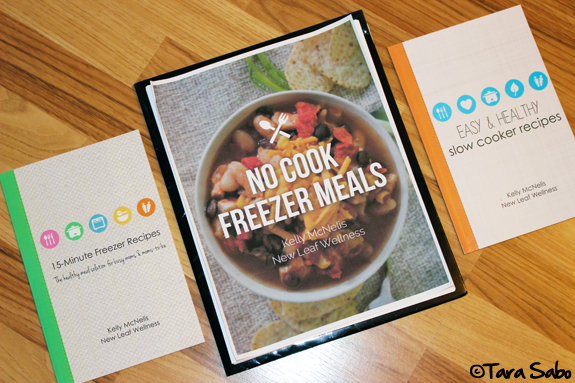 Question: What is your favorite meal to freeze for later? Thanks so much for sharing! I can't wait to see a final list of everything that you freeze! What a great idea! I should do that in general!